For the second time in four years, Toyota is recalling 800,000 Priuses in the United States, from model years 2010 through 2014, over concerns that they may suddenly lose power on the road. But a Toyota dealer says that the company is skimping on the correct fix to save money. Roger Hogan, the longtime owner of two dealerships in southern California, started seeing dozens of Priuses that had inexplicably died getting towed back to his dealership several years ago. In the initial recall, back in 2014, Toyota said that the Priuses were losing power due to a software problem. The company instructed dealers like Hogan to install a software update in the car’s computer. The fix was free for consumers because it was part of a government recall. It cost Toyota about $80 per car, Hogan estimates. The defect, which Hogan has dubbed “sudden deceleration” in a nod to Toyota’s earlier sudden acceleration scandal, didn’t seem to go away. About 100 Priuses that had supposedly been fixed returned to his dealership with the same problem, he says. The drivers reported frightening experiences in which their cars lost power while they were traveling on highways or other busy roads. Hogan became convinced that the defect was not software-related like Toyota claimed, but mechanical. A part called the inverter, responsible for powering the car’s battery and its electric motor, appeared to be overheating in the cars he examined. In one car, the inverter had even melted. A software update would not fix hardware that was already damaged. The car’s entire intelligent power module needed to be replaced, Hogan determined, a fix that would cost Toyota at least $2,000 per vehicle. In an ongoing $100 million lawsuit that Hogan filed against Toyota, he says that the company has a history of failing to warn consumers about safety defects in their cars in order to avoid the expense of fixing them. And when it comes to the stalling Prius issue, Hogan says that Toyota is continuing to avoid the correct but more costly fix of replacing the inverter. Approximately 100 Priuses that he says are unsafe to drive are currently stored on the roof of his dealership while he pressures Toyota to replace the inverters. In recent months, both the National Highway Traffic Safety Administration (NHTSA) and Sen. Jerry Moran (R-Kan) have agreed to meet with Hogan and look into the issue. At least two Prius drivers have reported getting rear-ended after their cars lost power on the highway. On Friday, Toyota seemed to finally crack under the pressure, with an announcement that the same 800,000 Priuses under the earlier recall, from model years 2010 through 2014, are facing a new problem that “could cause the hybrid system to shut down.” Worldwide, a total of 2.4 million Priuses are under the recall. Toyota spokespeople deny that they didn’t properly address the problem the first time around four years ago. Instead, they say that a “separate phenomenon” is causing the cars to die and that the fix is yet another software adjustment. “The update to the software in this new recall addresses a separate, newly identified condition where the vehicle may not enter a fail-safe driving mode as intended due to a specific component failure, coupled with hard acceleration,” Toyota spokesman Tania Saldaña says via email. The fail-safe mode, according to Toyota, is a safety feature in which a Prius driver is warned--via lamps on the instrument panel--that their vehicle is malfunctioning. The car then slows down before dying so that drivers have enough time to pull over safely. With the new recall, the carmaker is acknowledging that some cars “may not enter a fail-safe driving mode” and instead simply lose power without any warning. Regardless, Hogan argues that the Priuses shouldn’t be malfunctioning like that at all, whether or not drivers get an advanced warning shortly before. The recall notice does not specify the exact distance that drivers can travel in fail-safe before their Priuses shut down completely. In December 2015, the owner of a 2012 Prius was traveling on a busy California highway when he saw lights and heard beeping, seemingly because his car was going into fail-safe mode. Realizing that he was losing power, he moved to the right lane and waited for the shoulder to open so he could pull over. But the car died in the travel lane, and soon after, he was rear-ended. Consumers can check if their car has been recalled on the NHTSA website, but they typically don’t think to do that unless they get sent a notice directly from their car dealer. Often, it’s only the original car owners who receive those recall notices, Hogan says, resulting in dealerships missing hundreds of people with defective cars in their area. To better track current owners of defective Toyotas, Hogan created a computer program for his two dealerships. The program worked well until 2015, when Hogan says that Toyota locked him out of the dealership computer system. He filed his lawsuit shortly after, charging that the company was retaliating against him for alerting more consumers that they could get free repairs bankrolled by Toyota. Asked to comment on Hogan’s lawsuit, Toyota’s press team has responded by sending reporters a lengthy statement slamming his business. “Ultimately, we believe Mr. Hogan is pursuing his Prius recall remedy allegations to advance his $100 million lawsuit against Toyota, take the focus away from his dealerships’ poor performance and blame Toyota for his son’s failure to meet basic qualifications to serve as a general manager at one of his dealerships,” Toyota’s press teams says. 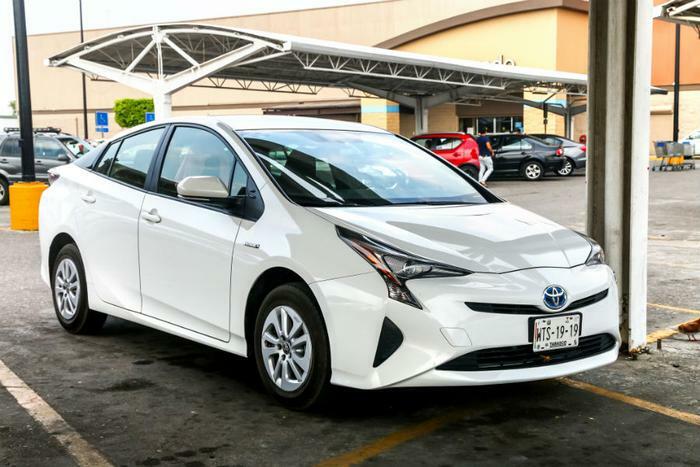 Toyota now says that “certain” Prius owners may be eligible to get their inverters fixed or replaced, but that most only need a software update. “We believe that the software update is an appropriate and effective way to directly address the safety defect and deliver the safety benefit quickly to our customers,” Toyota spokesman Saldaña says. Hogan, the dealer, says that’s simply not true. “A software remedy will not fix it or prevent this from continuing to be a very dangerous driving situation,” he says in a statement to ConsumerAffairs.